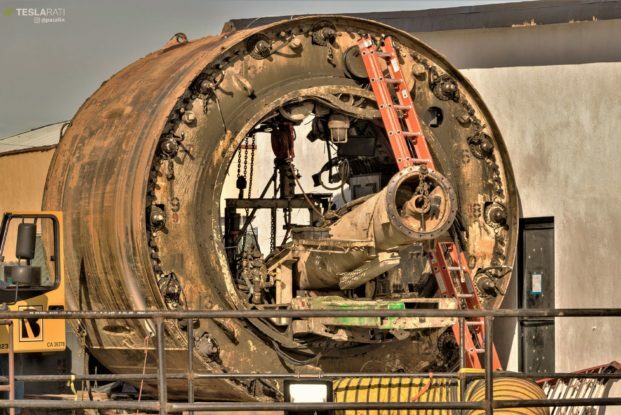 On November 27, a large crew of Boring Company employees and contractors converged upon the company’s Praire Avenue work site, home of a number of recent milestones for the tunneling startup’s 2-mile long test tunnel situated beneath Hawthorne, California. 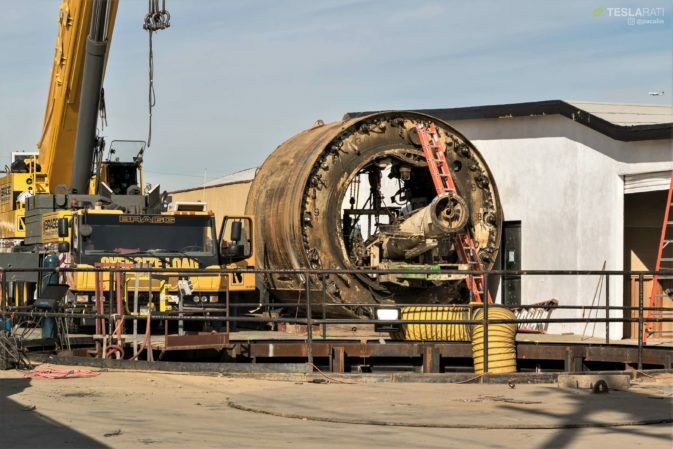 Just a handful of blocks away from SpaceX’s main rocket factory, The Boring Co. completed the removal of its first tunnel boring machine (TBM), allowing the company to begin cleaning up the site, preparing it for the installation of a brand new elevator shaft capable of transporting vehicles or custom sleds into or out of the tunnel. The extraction of Godot, the tunneling startup’s first TBM, was shared by the company on its official Twitter account. Godot is a conventional TBM, and during the company’s information session earlier this year, Elon Musk noted that the machine would be succeeded by Line-Storm, which is “essentially a hybrid between a conventional boring machine and Proof-Rock, a fully Boring Company-designed machine.” Being electric-powered, Proof-rock is expected have 3x more power and operate 10-15x times faster than Godot. 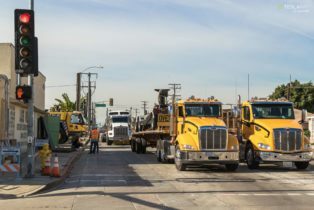 On the same day as the TBM removal began, news broke that The Boring Company had settled with a number of Los Angeles-based complainants and chosen to cancel a proposed extension of the test tunnel expected to run under Sepulveda Boulevard. Counter to a narrative coming out of several media outlets that TBC had effectively canceled an important tunnel against the company’s will, Elon Musk clarified that the actual explanation for the change in plans was largely positive, with the company believing that it no longer needs additional practice thanks to experience gained through the construction of its first test tunnel. Instead of pursuing the Sepulveda tunnel extension, The Boring Company instead believes that it can and should move directly to a more ambitious network of tunnels to crisscross subterranean Los Angeles, known as the Dugout Loop thanks to the inclusion of Dodger Stadium as a primary destination. 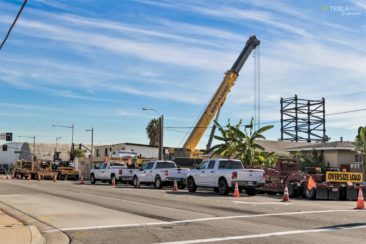 Amidst the Boring Company’s preparations for the December 10 opening party of its Hawthorne test tunnel, the site of the Prairie Ave pit, which is expected to be the location of the Boring Company’s prototype garage-elevator concept, has shown lots of activity. 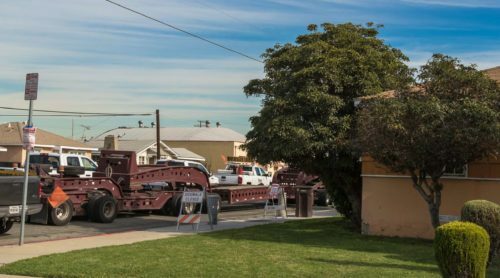 Just recently, Teslarati photographer Pauline Acalin was able to capture images of multiple semi-trucks loading and transporting extricated TBM segments. Based on the photographs we acquired, dozens of employees and/or contractors were present during the TBM extraction. The removal and transportation of the TBM segments from the Prairie Ave. pit appear to have been completed in ~24 hours from start to finish as well, as other members of the Teslarati team who visited the area not long after the photos were taken noted that the boring machine segments have already been transported elsewhere when they arrived. 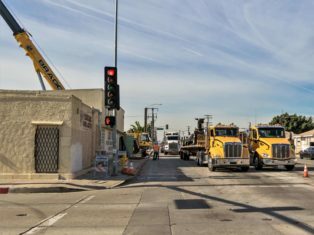 The extraction of Godot from the Prairie Ave. site bodes well for The Boring Company’s planned operations in the future. Conventional tunneling practices, after all, usually involve leaving expensive TBM components such as the cutting head underground after work is complete due to high costs associated with their retrieval. 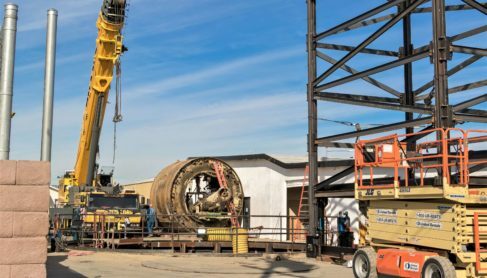 In classic Elon Musk fashion, the Boring Company has opted for reusability instead, seemingly using its prototype garage-elevator concept as an exit point for its TBM segments. The experience gained by The Boring Company in its Hawthorne test tunnel would help the tunneling startup tackle its most ambitious project to date — Chicago’s upcoming downtown to O’Hare high-speed transport line, which is expected to break ground as soon as the project’s permits are completed. Updates about the Chicago project have been scarce so far, though photographs taken by Teslarati photographers suggest that a gantry for the Chicago tunnel line, as well as what appears to be a next-generation TBM, is under construction. Here’s a little video we made to commemorate our work covering The Boring Company.